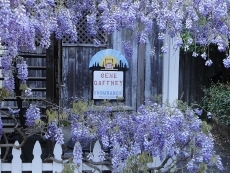 Gaffney Insurance Services is a family owned and operated insurance agency dedicated to providing quality insurance solutions to clients near Occidental, California. We combine our strong insurance background and product knowledge to assist both current and future clients in managing and planning for all types of risk. Our trusted insurance professionals are here to help you with every step of the insurance process and can design a personal or commercial insurance policy to fit your needs. You'll be paired with a professional at Gaffney Insurance Services who will work to ensure that you receive personalized attention you deserve. When you work with Gaffney Insurance Services, you'll experience the exceptional service and attention to detail that you can only find with an independent insurance agency. If you have questions call us at 707-874-2666, or e-mail us at info@gaffneyins.com.